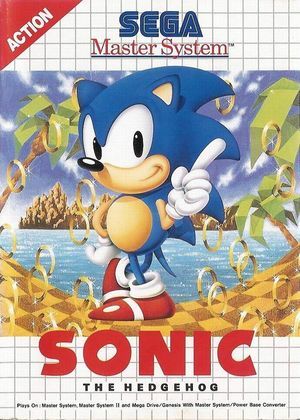 Get ready for a second helping of the original Sonic The Hedgehog with the Sega Master System remake of Sonic's debut adventure! This version of the classic platformer game sports new stages, new bosses and a level map. Remember hunting through the Special Stages for Chaos Emeralds? Now they're hidden in the regular stages, so get hunting! But don't worry, the Special Stages are still there with other prizes for you to pick up! With a host of new Zones exclusive to this version and a showdown with the evil Dr. Eggman (AKA Dr. Robotnik) at the end of each Zone, what are you waiting for? Let's get to it! This page was last edited on 27 December 2017, at 07:24.